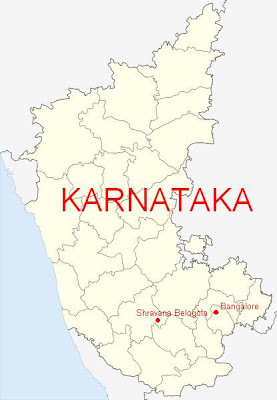 Federation of Karnatka State Rationalist Associations (Karnataka Rajya Vicharavadi Okkootta) is organizing the 1st state level rationalist conference at SHRAVANABELOGOLA on 18th & 19th of May 2012. As you are aware, a get-together of more than 100 rationalist and humanist activists and sympathizers was held on March 14, 2010 in Bangalore. It was decided at the meeting to form a Federation of rationalist and humanist groups active in various districts of Karnataka in order to coordinate the activities of these groups at the state level. Subsequently, during the last two years, our activists visited about 22 districts of the state and held meetings with various groups and individuals. Those districts which we could not cover, we got in touch with activists over telephone. To keep up the momentum generated through these contacts, to consolidate the gains and to build up the organization further, it has been decided to organize the first state conference of the Federation at Shravanebelogola on 18th & 19th of May 2012. In order to make the conference a grand success, we request your participation. I welcome the Karnataka conference and this is timely. We need to inculcate scientific attitude among students and youth which will take society in to future development. Today the reactionary forces gained upper hand and set the rational cloack backwards. The child abuse of inculcating religion to the kids from childhood onward should be stopped. I am happy to know about the conference and I wish the conference all success.We are also celebrating the national conference at Hyderabad on 9th and 10th June 2012.I am forwarding the message to our friends. Please send us a detailed report on the conference.